"Rotary takes ordinary people and gives them extraordinary opportunities to do more with their lives than they ever dreamed possible," said newly elected District Governor Sandy Schwartz quoting Rotarian Sir Clem Renout. Sandy, a retired nurse, visited our club to inspire all of us. "My message is Retention, Retention, Retention. 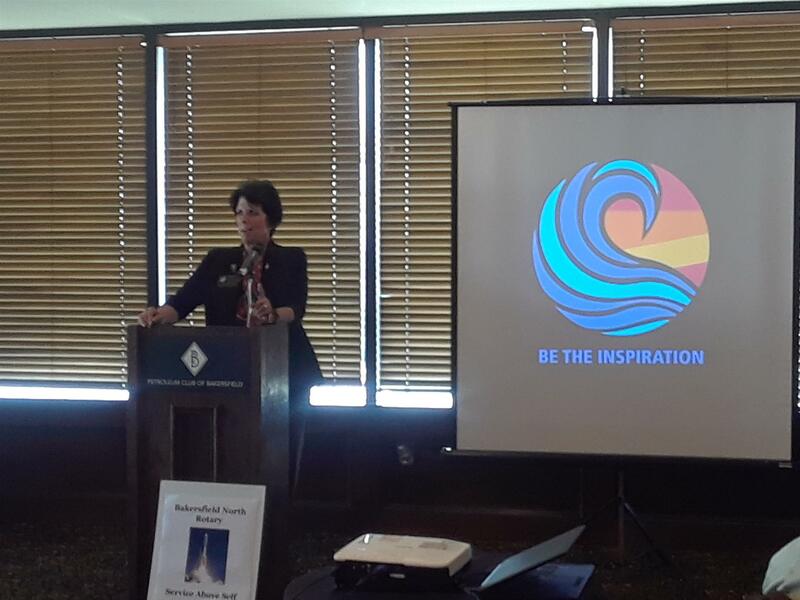 Keep members engaged with a dynamic club," Sandy expressed during her presentation. Her vision for this year is to increase membership and challenge current members to participate in more life-giving service opportunities. We look forward to an exciting year as Sandy directs our District: “How many of you feel they give more to Rotary than they receive back?" she asked during her speech. Of course, nobody raised their hands as proof of how amazing is to be a Rotarian! Best wishes Sandy. She gave Outstanding Service awards to Cathy Bennett for her service to the Foundation, Ira Cohen for his efforts with the two Interact Clubs and Greg and Mary Bynum for their significant contributions to make the Dinner at the Derby a success. As a gift for the District Governor’s visit, the BNR board voted to give $500 to End Polio Now in Sandi’s name. Ten members generously added $100 each to make the total $1,500.